Revolutionary physical properties thin film characterization system. Highly integrated and easy to use measurement platform. 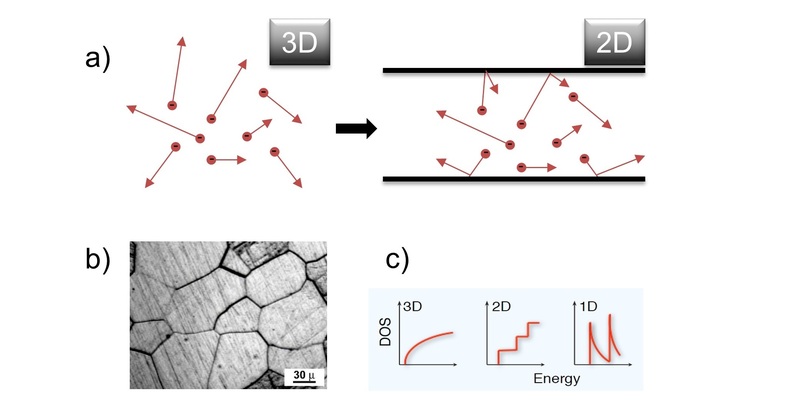 Physical properties of thin films differ from bulk material, as parasitic surface effects are much stronger due to smaller dimensions and high aspect ratios! 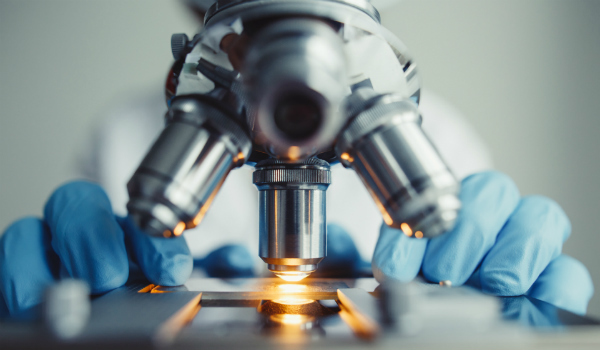 The LINSEIS Thin Film Analyzer is the perfect tool to characterize a broad range of thin film samples in an extremely comfortable and fast way. It is an easy to use, single stand alone system and delivers highest quality results using a patent pending measurement design. 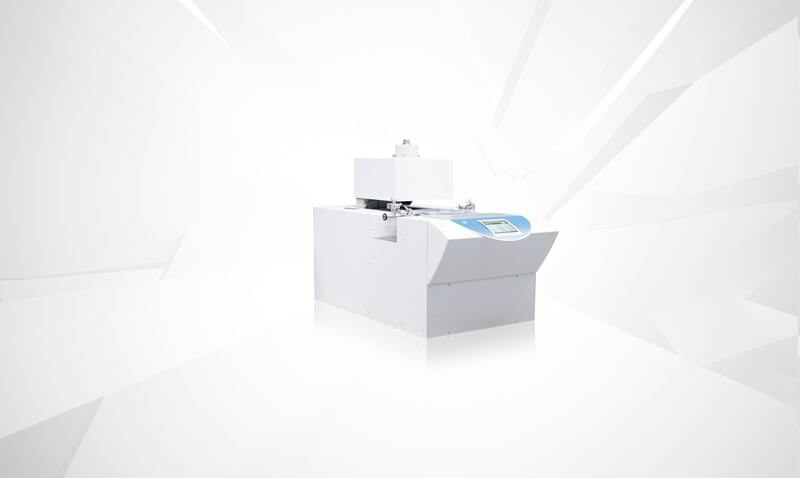 The basic setup consists of a measurement chip on which the sample can be easily deposited, and the measurement chamber to provide the required environmental conditions. Depending on the application, the setup can be utilized with a Lock-In amplifier and / or a strong electric magnet. The measurements are usually taken under UHV and the samples temperature can be controlled between -170°C and 280°C during the measurement using LN2 and powerful heaters. 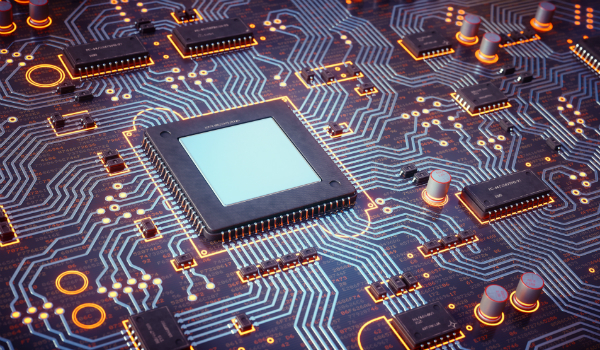 The chip is combining the 3 Omega measurement technique for the thermal conductivity measurement with a 4-point Van-der-Pauw setup for the determination of the electrical transport properties. The Seebeck coefficient can be measured using additional resistance thermometers located near the Van-der-Pauw electrodes. For an easy sample preparation either a strip off foil mask or a metal shadow mask can be used. This configuration allows for a nearly simultaneous characterization of a sample which has been prepared by either PVD (e.g. 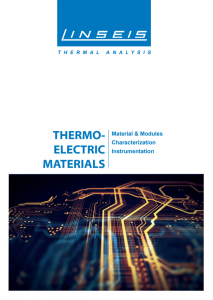 thermal evaporation, sputtering, MBE), CVD (e.g. ALD), spin coating, drop casting or ink-jet printing in one step. The big advantage of this system is the simultaneous determination of a broad range of physical properties within one measurement run. All measurements are take in the same (in-plane) direction and are very comparable. To determine the electrical conductivity (σ) and Hall coefficient (AH) of the sample, the Van-der-Pauw method is used. After depositing the sample on the chip, it is already connected to four electrodes A, B, C & D at their edge. For the measurement, a current is applied between two of the contacts and the corresponding voltage between the remaining two is measured. By clockwise changing of the contacts and repeating of the procedure, the resistivity of the sample can be calculated using the Van-der-Pauw equation. By applying a magnetic field and measuring the corresponding change of the diagonal Van-der-Pauw resistance, the Hall coefficient of the sample can be calculated. For the determination of the Seebeck Coefficient, an additional thermometer and heater is placed on the chip near the sample. 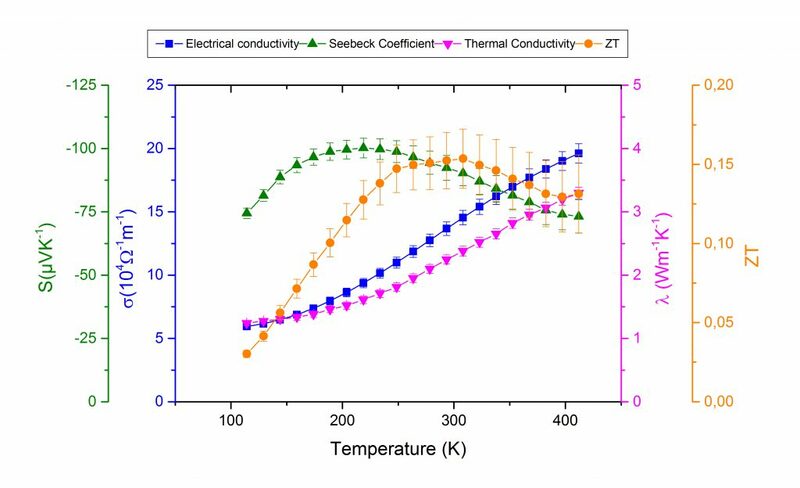 This configuration allows for the measurment of the thermovoltage at different temperature gradients wich can be used in order to calculate the Seebeck Coefficient S=-Vth/∆T. For the determination of the in-plane thermal conductivity, a patend pending hot-stripe suspended membrane setup is used. In this setup, a very small wire is used as heater and temperature sensor in one. The sample of interrest will be deposited directly on this membrane. For the measurement in consequence, a current is applied to the hotwire which is heated up due to Joule heating. Because of the temperature rise, the resistivity of the wire is changing and can be measured easily. 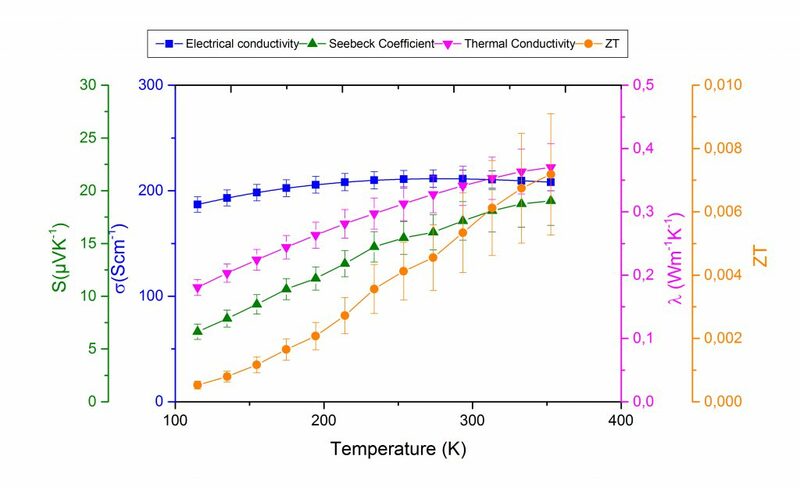 From this resistivity change and the knowledge of the exact geometrie of the setup, it is possible to calculate back to the thermal conductivity of the sample. 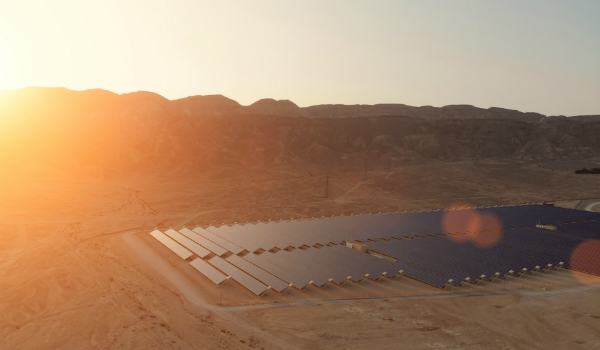 Depending on the sample, it is also possible to measure the emissivity and specific heat. In order to get high quality results, the sample thickness times sample thermal conductivity should be equal or bigger than 2 x 10-7 W/K. Starting with a basic setup to measure the thermal conductivity, the system can easily be upgraded with either the thermoelectric kit to measure the electrical conductivity and Seebeck coefficient or with the magnetic upgrade kit to take Hall constant, mobility and charge carrier concentration measurements. 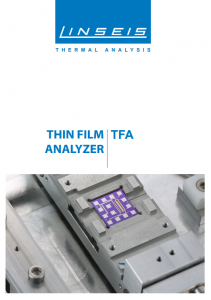 High quality, easy to use characterization system for thin films (nm to µm range). Temperature dependent measurements (-170°C up to +280°C). Easy sample preparation and handling. Chip based measurement device with pre-structered chips as consumeables. High measurement flexibility (sample thickness, sample resistivity, deposition methods). All measurements are taken from the same sample in one run. 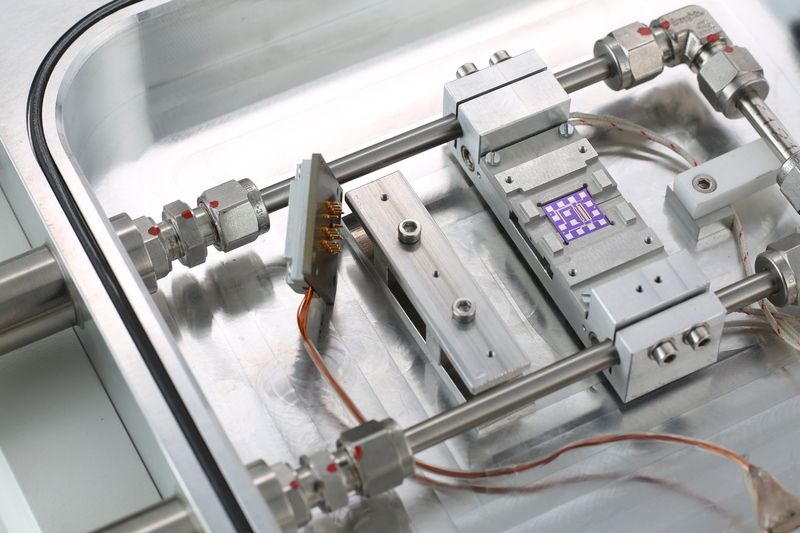 It is possible to measure semiconductors as well as metals, ceramics or organics. Hall Constant / Mobility / Charge carrier conc. 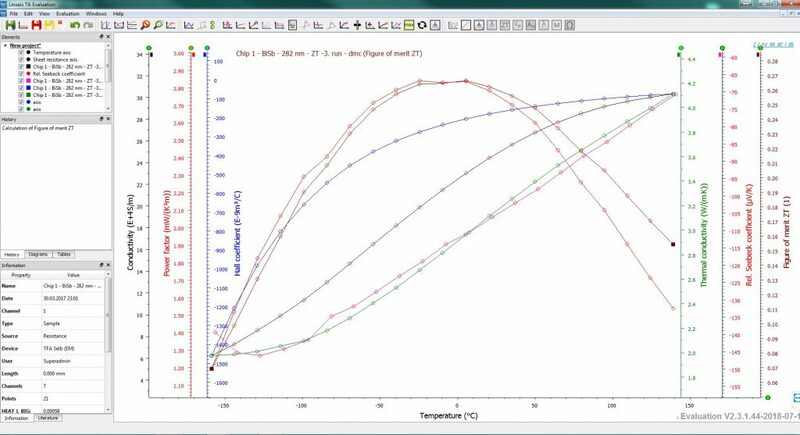 In addition to the utilized hardware, the powerful Microsoft® Windows® based LINSEIS thermal analysis software performs the most important function in the preparation, execution and evaluation of thermoanalytical experiments. With this software package, Linseis offers a comprehensive solution for programming all device-specific settings and control functions, as well as for data storage and evaluation. 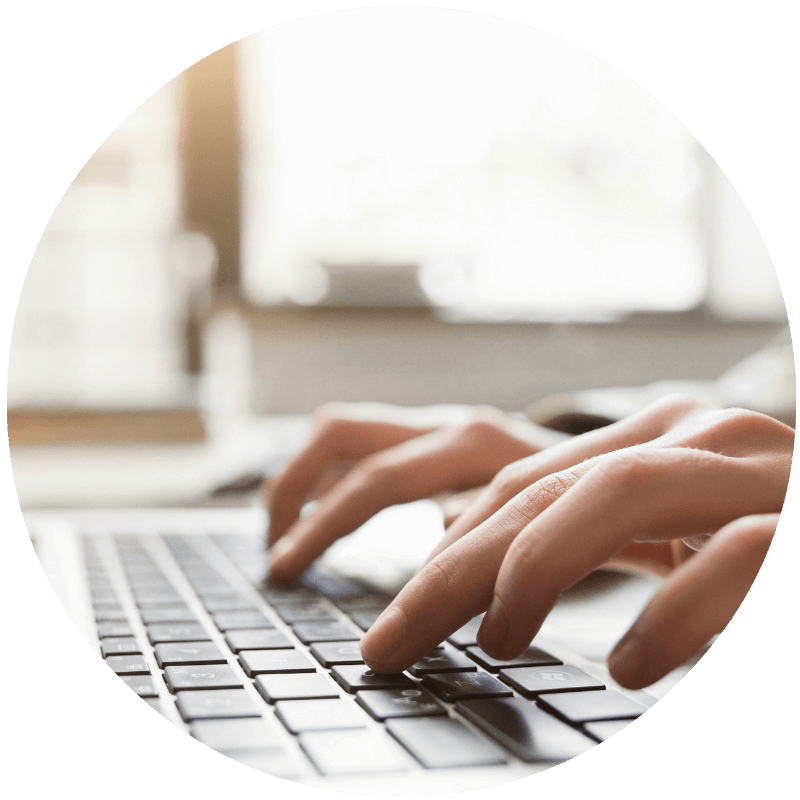 The package was developed by our in-house software specialists and application experts and has been tested and improved for years. 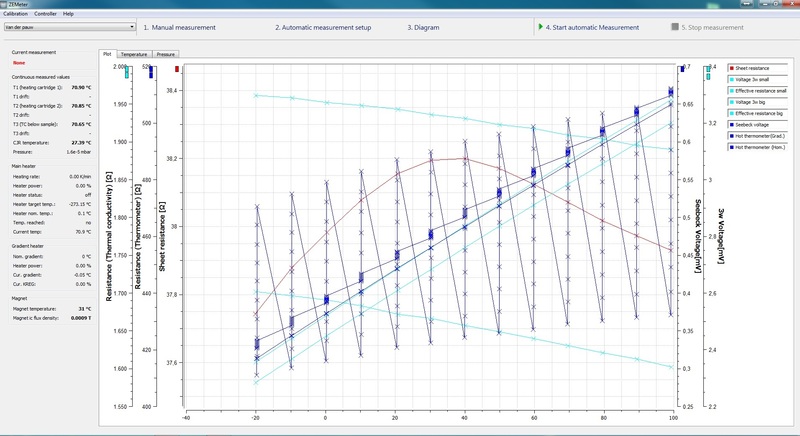 The TFA software package consists of 2 modules: The measurement program for the data acquisition and an evaluation software with pre-defined plugins for the data evaluation. The Linseis software encounters all essential features for measurement preparation, execution and evaluation. Easy and user-friendly data input for temperature segments and measurement tasks. 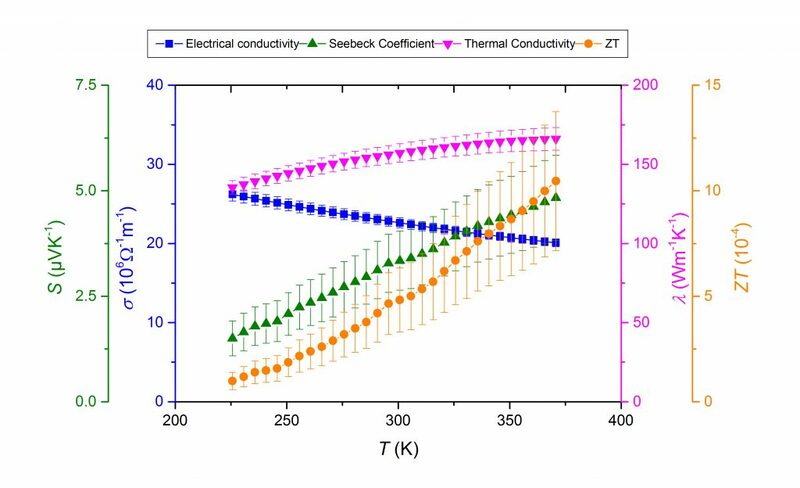 Measurements of a 142 nm thick Bismuth Antimony film prepared by thermal evaporation under vacuum conditions from -160°C up to +140°C. Measurements of a 15 µm thick PEDOT:PSS film (high conductive grade) prepared by drop casting from -150°C up to +100°C. Measurements of a 100 nm thick Au film prepared by DC magnetron sputtering under vacuum conditions from -50°C up to +100°C.